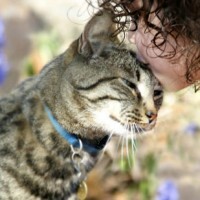 Companion Pet Sitting offers professional, expert pet grooming in a safe and compassionate environment. Whether this will be your pet’s first grooming experience or if it is a seasoned veteran, we will make sure they receive the very best care, resulting in a positive experience. Our groomers have extensive experience helping highly stressed and anxious dogs and cats. With our specialized care, many pets that have had unsuccessful experiences in the past will gain comfort and confidence throughout the grooming process. Individual appointments are available as needed to accommodate each pet’s personality and temperament. Puppy Grooming Packages – Save $15! To schedule a free consultation or to book an appointment, please complete the following form or give us a call at (508) 393-3370. Lindsay has extensive training in the animal field. She began her career over 15 years ago and has worked her way up from a kennel assistant to kennel technician to kennel manager. She has over ten years experience at a top-of-the-line veterinary practice. She has perfected her scissor grooming and is knowledgeable in all standard breed grooming. She specializes in grooming the post surgical, arthritic, and orthopedically challenged dogs. Lindsay attained her A.S. degree in Animal Care from Becker Junior College and is a certified pet groomer. Lindsay is a true asset to the Companion Pet Sitting team. Shelly joined the Companion Pet team in 2014, working with Lindsay, bathing dogs and helping at busy times. She received her dog grooming certificate from All Dogs Academy in Manchester, NH in 2015 and looks forward to building a rewarding business. Along with her grooming profession, Shelly also works at W.A.R.L., and spends time caring for and working with dogs, cats, birds, horses and other small animals. © 2019 Companion Pet Sitting, LLC.